This year’s last (announced) public screening is over and we got some new pics and a video for you guys. 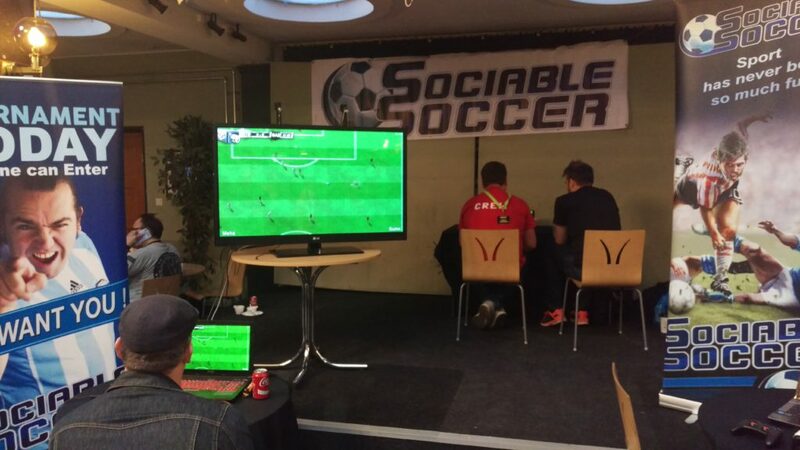 Hundreds of people turned up to play Sociable Soccer on three different formats. In total the show had about 16-17.000 visitors. We brought the latest build to the show and it was playable on PC, IOS and Android (GearVR). Unfortunately we had problems at the opening because of old drivers and some early visitors might have missed the opportunity to play the game – BIG SORRY FOR THAT. 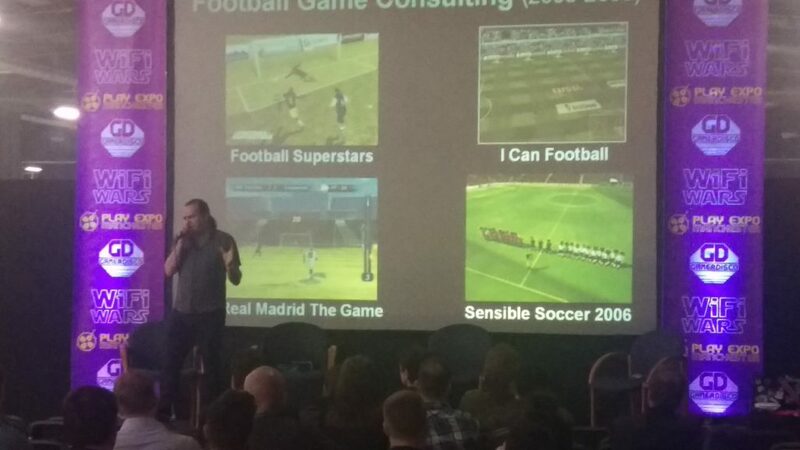 Jon Hare on stage talking about his games. Jon made a speech about his career on the first day and on the second day he played some songs on stage familiar to the fans. I arrived a bit late on the first day because I was in Luxembourg with my family to watch Sweden play. We won 1-0. Happy Happy despite the low score. People were playing the game and enjoying it and the usual questions “When is the game out?” and “Where can I get this?” flowed over us constantly. The answer is that the game still doesn’t have an official release date. We’ve been saying it should be out Q1 2017 and we want that. But the delay with getting a publisher makes us think the game may be pushed forward. I will announce any changes as soon as we know. As usual we also arranged a tournament to finish of the event with. The winner walked away with a signed Jon Hare Cannon Fodder copy for Mega Drive. 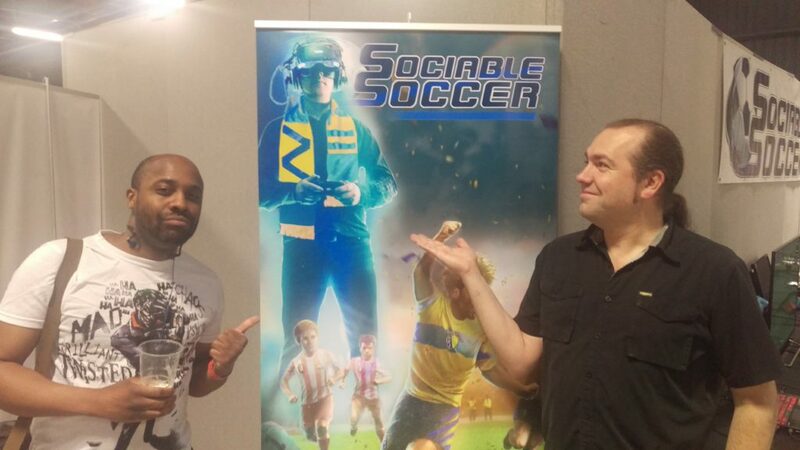 Our Sociable Soccer Tournament winner Evan with Jon Hare. All in all big thanks to all our passionate fans and to the arrangers and Andy with team at Replay. Hope to see you all soon again! 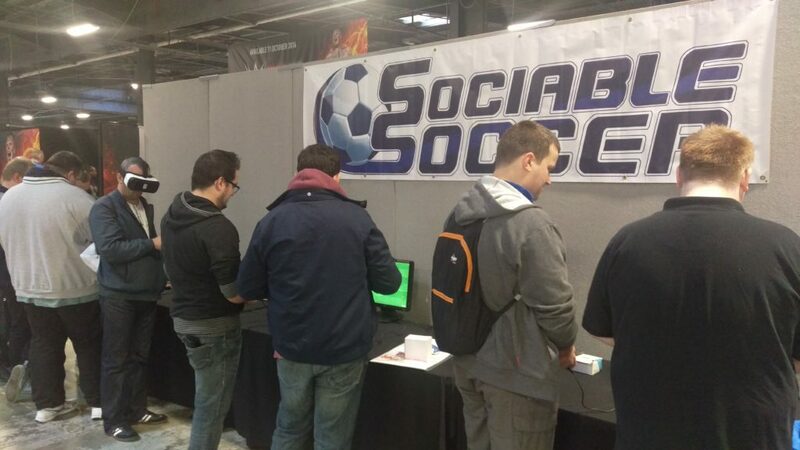 PLAY Expo Manchester coming up! Guys, it’s time for one of the events of the year. 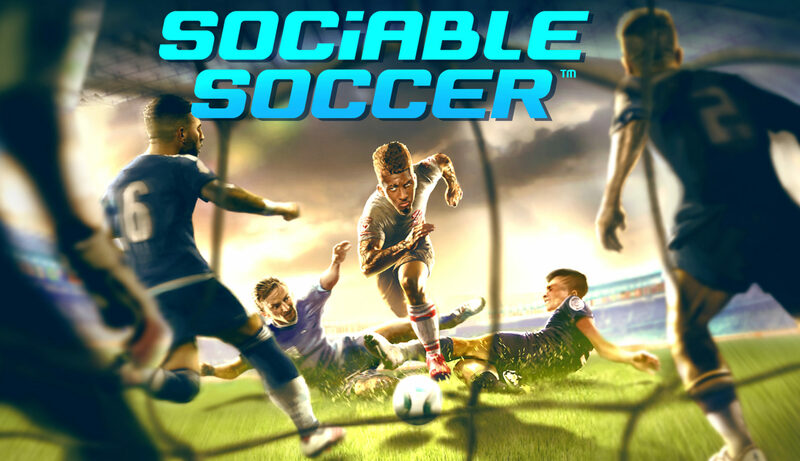 Sociable Soccer is coming to the theater of dreams, or at least close. 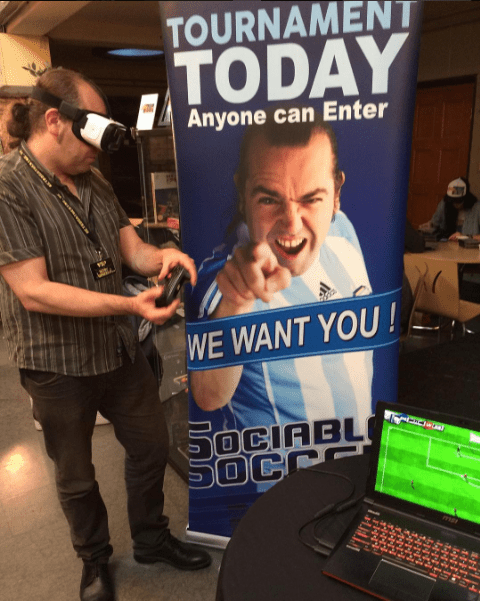 We’ll be bringing the standard version on IOS, PC and Android but also the GearVR version so that you’ll be able to get a totally new football experience. Please come visit us Saturday and Sunday and tell all your friends about this. Me and Jon will be there to talk to you and answer all your questions and maybe even give you a game or two. We will have four machines to our disposal. On Sunday we will even have a tournament. WOW WOW WOW!